I would love to write a cookbook featuring nothing but quick and easy recipes. How many times do you need a dessert but don't want to spend a lot of time in the kitchen? Or how about someone is coming over and you need a quick appetizer? Don't get me wrong, I love to cook when I am in the mood and have the time. Unfortunately, that's not as often as I would like. I either am out of time or too tired. So when I find an easy but yet delicious looking recipe, I'm there. One of my favorite blogs is Dine and Dish. Kristen lives in KC and often features something from my home town. Besides that, she's an amazing writer and has a wonderful blog. If you don't follow her, you should. She shared this recipe as one that her kids can whip up, quickly and easily. For me, these were what I made for the monthly birthday treat day at Tim's office. Place Ritz crackers in a gallon sized Ziploc bag. Remove the air and seal tight. Using a rolling pin, roll the crackers into fine crumbs. Pour cracker crumbs into a medium bowl. Stir in sweetened condensed milk and toffee bits. Press firmly into prepared square pan. Store in the refrigerator for at least one hour. 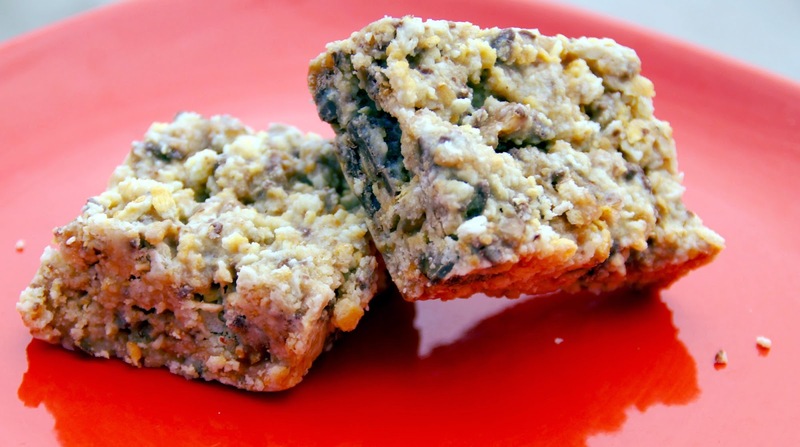 Three-ingredient cookie bars that taste great? Sign me up! Hi Julie, I am just stopping by to let you know that this is the recipe that I chose for November's Secret Recipe Club Holiday Treats. Sorry that this is a little late, it completely slipped my mind to post this last night. I really, really enjoyed looking through you blog, and am anxious to try some of your other recipes. Thanks so much for sharing. Have a great holiday season.